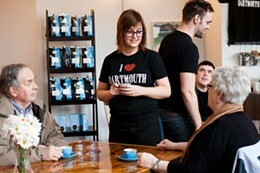 Open since November 2009, the Two If By Sea Cafe has made such a huge impact on the complexion of downtown Dartmouth, it’s drawing folks from across the harbour. On the afternoon we speak to Zane Kelsall---co-owner with Tara MacDonald---there’s not a free seat in the place. 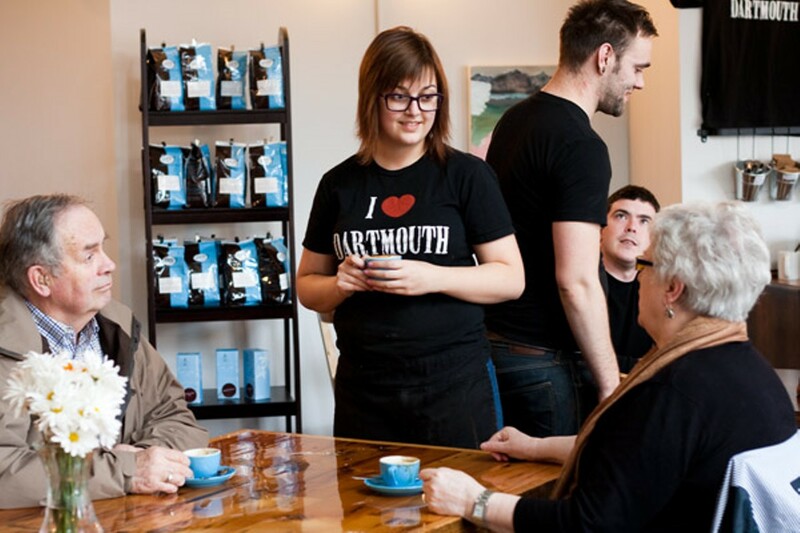 The coffee is excellent and the cookies and croissants already legendary, but Kelsall says it’s the personality of the place and the quickly formed relationship with the customer that’s turned TIBS into a hotspot in such a short period of time. “People who live here really want Dartmouth to succeed, they’ve wrapped their arms around us,” says Kelsall. With 10 years experience as a barista, Kelsall has a sixth sense for how to manage his cafe and his staff. If that wasn’t enough, he’s created a training regime---complete with a manual of sorts---a six-week to two-month process that teaches the new barista about coffee, milk and lattes before they even talk to customers, a training completed with a series of tests. Only after a 100 percent result will Kelsall allow the new recruit onto the floor to join the dozenish cafe crew.